Leverkusen, October 2017. 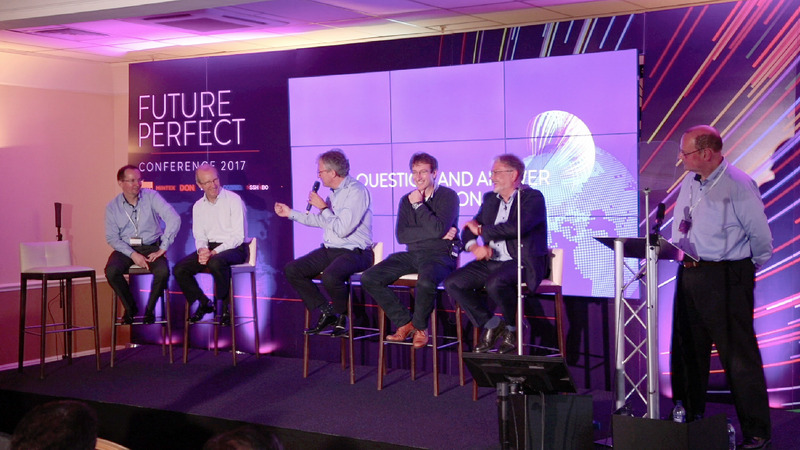 Brake specialist TMD Friction is encouraging direct dialogue with customers with its new customer conference series ‘Future Perfect Conference’. The first conference started in Southampton in early September based on this new concept. TMD Friction would like to use this to intensify the interaction with customers of the international aftermarket (IAM) by exchanging views about the visions and strategies of the future. This is also what the name of this new conference series ‘FuturePerfect’ stands for since it is used as a synonym for the group’s future orientation. The core of this group strategy is to prioritise customer requests even further, because – the way that TMD Friction sees it – this is the only way that the future, with its massive technical and social changes, can be effectively addressed. Fittingly, the event in Southampton was attended by a list of high-profile speakers: In addition to John Hudson, CEO of TMD Friction, who gave an overview of the group’s strategic orientation, the Marketing and Technical Directors were able to explain the plans which they intend to employ to support these goals. To expand on issues concerning the outlook for the future, external speakers were also invited, including Alan O’Neill, a certified expert in change management, and Neil Pattemore, Technical Director of FIGEFA, who outlined the framework conditions of the future market. A great deal of interest was aimed at a presentation by Robert Lightfoot, Executive Director of Sales EMEA at TMD Friction, which focused on IAM. The development of TMD Friction from a manufacturer for friction material to one of the world’s leading brake specialists, namely a provider whose range includes all components and services related to brakes, has been very well received by customers. This is accompanied by a paradigm shift in which the focus is no longer on the single product, but rather on the complete solution. Only those who offer a needs-based solution of this kind will be able to survive in the future. However, in order to be able to offer these ‘needs-based’ solutions, active collaboration and further qualification of business customers is required. In line with the new conference concept, the subsequent question and answer session received a great deal of attention from customers, who were able to discuss the topics with the speakers. The responses to the portfolio expansion and dealer participation was positive on the whole. Photo: Copyright TMD Friction, 2017. Free reprinting permitted as long as the source is quoted. Please send us a specimen copy. TMD Friction is one of the world’s leading manufacturers of brake friction materials to the automotive and brake industry. The company’s product portfolio comprises of disc brake pads and drum brake linings for passenger cars and commercial vehicles together with friction materials for racing and industrial applications. With its brands Textar, Mintex, Don, Pagid and Cobreq, TMD Friction has a market-leading position in the global replacement parts market. Under the brand names Cosid and Dynotherm TMD Friction develops and produces friction materials for industrial applications. TMD Friction has four operations in Germany as well as in Europe, USA, Brazil, Mexico, China, Japan and South Africa. The TMD Friction Group employs approximately 5,000 people worldwide. For further information please visit www.tmdfriction.com.